In 1789, 121 years after the revolt of Samkusaynu, the Ainu people rose up yet up againg in the revolt of Kunashiri and Menashi. Kunashiri is one of the islands in the Kuril chain and Menashi is a term referring to the coastal area from Akkeshi to the Shiretoko Peninsula. The direct cause of the revolt was the horrendous treatment accorded the Ainu people by Hidaya, the manager of the trading post. 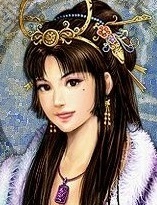 The first-generation Hidaya was a cuccesful trader supplying lumber to Edo. In 1702, he had crossed the Tsugaru Strait to Matsumae with his eye on Ezo Pine. he aquired a monopoly from Matsumae to cut trees and, bringing in loggers from southern domains, he became very wealthy by shipping the lumber from Saru, Kushiro, Ishikari, Yubari, and Teshio to Edo and Osaka. He had also sent large sums of money to the floundering Matsumae domain. In return for the money, this Hidaya accepted five trading posts in Muroran, Akkeshi, Kiritappu, Kunashiri in 1774 and, one year later, in Soya. Having control of five trading posts, the third generation Hidaya began a major fishing operation and conscripted the Ainu, whom he treated as beasts of burden, as labourers. He kept them on the grounds of the trading posts where they were treated as slaves and many died of hunger. He treated them so cruelly that they thought they would all be killed. Hidaya is etched in the memory of the Ainu people for his cruel and inhumane behavior. The situation in Kunashiri was slightly different. On Kunashiri, traditional Ainu society was still in place and the people, under their leader Tukinoe, traded with the Russians from the neighbouring island of Etorofu, and even travelled as far north as Kamchatka to trade with the Russians there. Tukinoe was an Ainu leader with an international perspective. In 1774, when Hidaya wnet to Kunashiri to open his trading post there, Tukinoe refused to allow him to do so and, after after taking everything that was on Hidaya's boats, Tukinoe sent him away. Matsumae responded by trying to force Tukinoe from the island. First, Japanese or Ainu persons from Hokkaido were forbidden to trade with him. After eight years of trade sanctions, Tukinoe agreed to allow Hidaya to establish a trading post on Kunashiri. The result was familiar: the Ainu lost their traditional fishery and became indentured labourers working for the trading post. After 1788, when Hidaya began producing fertilizer from fish remains, the entire island became a fertilizer factory operated by slaves. According to Araido Magozaburo, the Japanese leader who would suppress the revolt, Hidaya's methods of dealing with Ainu resistance, included threats, violence, and poisoning resistors. The eldery and the ill, who were no longer able to endure hard labour, were killed. Several Ainu leaders were poisoned and Ainu women were raped by Japanese guards and managers. If an Ainu man resisted his wife being taken from him, he was beaten and had to pay a fine. The Japanese behaved like violent beasts. On the evening of 7 May 1789, the Kunashiri Ainu rose in revolt. They attacjed the trading post and killed twenty-two people. The leaders of the revolt had all suffered personally under Hidaya's cruel hand. Six days later, the Ainu of Menashi rose up in response to the call from Kunashiri. Joining forces with the Ainu who had crossed over to Hokkaido, an army of about two hundred attacked and killed twenty-six Japanese in Shibetsu, Churui, Makubetsu, and Uenbetsu. They also attacked Hidaya's ship and killed a further thirteen people. According to later Japanese estimates, seventy-one people were killed. When the revolt was launched, both Tukinoe, from Kunashiri and Ikitoi, the leader of the Menashi Ainu, had been away. When [p. 66] they returned and heard what happened, they were surprised and, after discussion with other leaders, they persuaded the rebels to lay down their arms. After laying down their arms, 131 Ainu from Kunashiri and 180 from Menashi gathered on the Nemuro Peninsula. Twenty-four days after the event, news of the revolt reached Matsumae. Araida led a force of 260 and headed straight for the Nemuro Peninsula. Araida had the Ainu leaders indicate those who had killed the Japanese. Thirty-eight men were handed over to him, among them Setuhaayhu (Setuhaynu), the son of Tukinoe. On 21 July, thirty-seven Ainu (one had died while trying to flee) were given snetences of death, The heads of five were cut off in rapid succession, but when the sixth was brought out to be executed, those still in custody broke into a pewtanke. A pewtanke is a cry from the deepest part of the heart in times of crisis. It is a signal to kamuy and a cry for help. The Matsumae army took forty-three Ainu men and women back with them to Matsumae. They were handed over to the feudal lorg on 5 September. The pickled heads of eight of the rebels were put on display on the outskirts of the town. The Tokugawa regime did not treat this revolt lightly, and altered the samurai in the domains of Nanbu and Akita. It was rumored that the Russians had been behind the revolt and Tokugawa sent out spies to check on their intentions. The revolt of Kunashiri and Menashi was the last armed conflict between the Ainu and the Shamo. Matsumae was held responsible for alolowing such a revolt to happen and Hidaya was punished. He lost all his trading posts. They were placed under the direct control of Matsumae. Although control of the posts changed, treatment accorded the Ainu people did not change. The Kunashiri Ainu were almost entirely exterminated and replaced by people brought in from Shari, Abashiri and Soya to carry on their work.